Unfortunately, no. You might be able to get the part in what was the Frosted detail material and then paint the back of it. Tactical Quite Generator have a certain potential. They are compact and may be printed in one piece. For example MEP 1030 is 45 in. long, 32 in. wide and 36 in. high. That makes it 1.28 in. by 0.91 in by 1.02 in. TM`s can be found easily on the net. Removed by original poster on 12/08/18 - 06:44:37 (GMT). I'll be getting the printer tomorrow. I'll set up and learn how to use it. Hopefully I'll be able to start printing a few things myself for less than Shapeways. Turn around might be a bit longer, might be a bit shorter. I don't want to make any false promises for turn around time so I'm going to air on the side of caution and expect a 2 to 3 week turn around. If all goes well, I'll start setting up a website to order from. I'll still put everything up on Shapeways if only to make it easy for newcomers to find everything and if anyone wants the detail Shapeways offers. 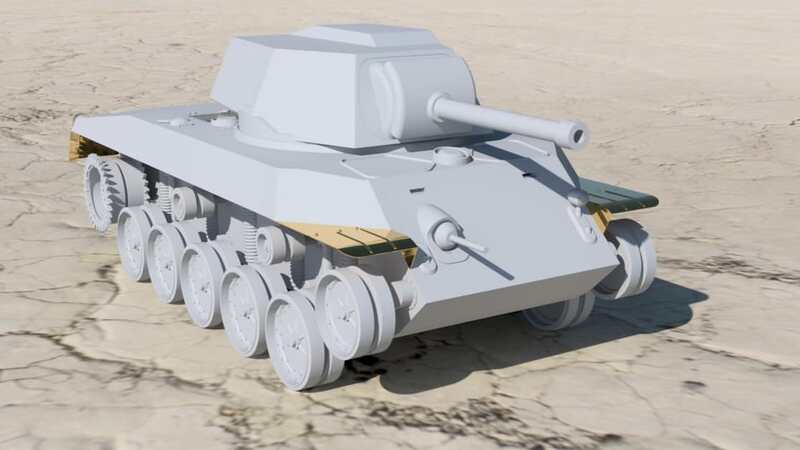 In the meantime, a little preview of what I've been working on in 1/35. I still have about a week, maybe 2, to go on this. Just got the corrected set of your 4 rifles from my order originally placed in August finally waiting at the door today on Nov 26. Shapeways low priority customer support to correct problems is a reason I am reluctant to order more from Shapeways as well. Not only about price. 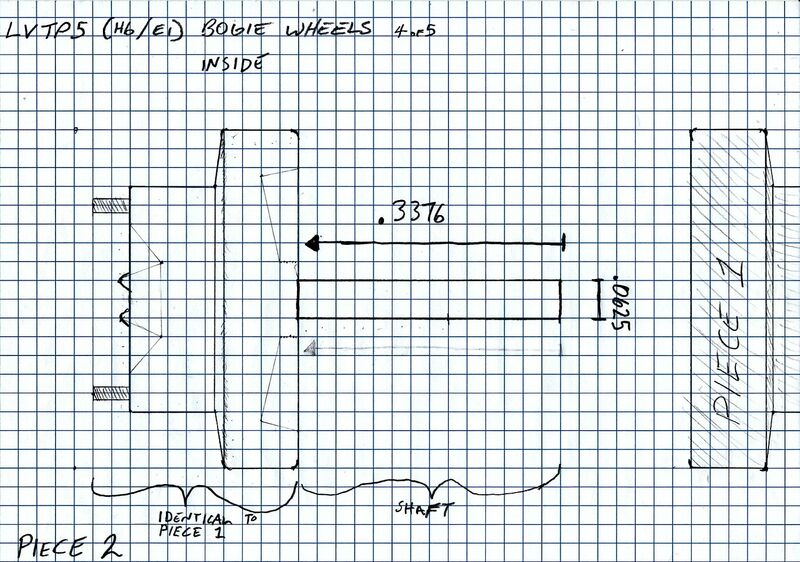 And Daniel, the LVTP wheels are done. I'll open them up so they can be purchased. Awesome!!! Thank you good sir! I ordered two sets. I will post pics of the new parts alongside the inaccurate kit parts once they arrive. I know your pain, Mike. I just did the same thing for probably the very same reasons: bought my own printer. It was a good decision, although printing is time-consuming and more labor-intensive than I had anticipated. Products printed in-house are less expensive than the identical product sold via Shapeways, about 10-20%. Shapeways may remain the less costly option for international shipping to customers in the EU. Shapeways can ship cheaper from The Netherlands to EU customers than I can to those same customers from the US. I don't know how Shapeways pricing for existing products in my store will look come January but new products I am uploading now are significantly more expensive than similar products uploaded in the past, about 15-20% more. For those readers here not yet in-the-know, Shapeways has grandfathered the pricing for previously-uploaded products in stores until after the holidays. New uploads come under the new pricing algorithm. Come January, the new pricing model will affect all products. Good work on your catalog! As your store grows and you gain an in-house capability, you might consider putting an online store together. I chose Wix.com as a hosting service for in-house production. That simplifies the bookkeeping and order tracking and they can safely process credit cards, PayPal, etc.. Shopify is probably another good option. Wishing you great success! Love your work! Ok, so basically just the door frames and floor then? Also, the code is up! Get 15% off sitewide with the code HAPPYMONDAY. I'll see about the door frames and floor so that it's available. And Daniel, the LVTP wheels are done. I'll open them up so they can be purchased. Thank you Michael. I got in my orders for your doors and some radios with a happymonday code. Looking forward to seeing more of your designs! I know you have the container attachment corner "lock blocks" available seperately elsewhere on the Shapeways site. I was wondering would there be any interest/need for purchasing the container door hardware separately? I think the door hardware for the Tricon would be the same as for any regular container (20' or 40') so does anyone have a need for these as a separate sale item????? 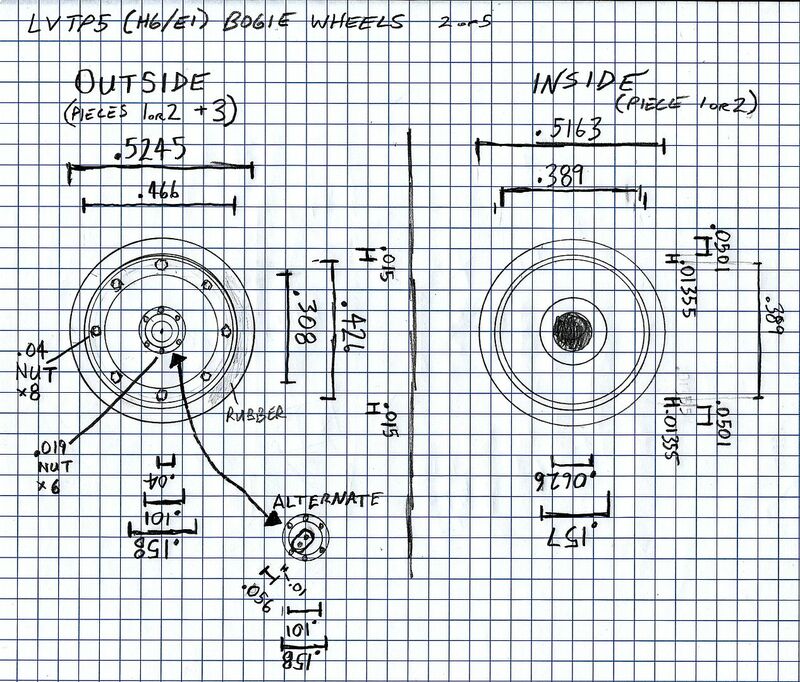 I've been working on the roadwheels for LVTP-5. Should be finished pretty soon. How is the negotiations with mouse house going, would like to know if there going to produce the L7 105MM again. Thank you Michael for your efforts on the Tricon and all the parts you offer. Sorry for the long wait for this but it's finally done. I got the Tricon doors and floor down to only $37.19. This is basically the best configuration I can find to get it to the lowest price but it's now available and back up for sale. At the moment, the products can all still be ordered through Shapeways but sometime before the end of the year, I will be able to take orders for select products that I can print and ship myself. I will start with a select few, probably 4 or 5 (and most likely the radios and SINCGARS), but will slowly expand it. I will still offer all of the products on Shapeways but I will most likely be able to sell the products that I print cheaper than Shapeways. I'm still trying to nail down the process for this to make it as seamless and hassle-free as possible. Well the holidays are now upon us and Shapeways is having a Cyber Monday sale! 15% off the marketplace on November 26th. I don't know the codes yet but I'll update them here when I find out. Thanks. The radios are showing correctly then. I'm not sure about the hardtop. I'm just about finished putting together a catalog so I finally have something to check prices against. I'll see if the price can't be brought down further but I'm not sure. I also have to get the Tricon doors and floor up soon. Hopefully before another price increase. Mike, the VRC-110 is showing for $14.52 in Smoothest and the VRC-111 is showing for $14.07 in Smoothest. The price on the Helmet Hardtop for the M1101 went up by about $3 for no apparent reason. If anyone is reading this right now, can you go check what price is showing for the 1/35 AN/VRC-111 and -110 sets on my shop? It's showing the price for 1/16 at the moment but is supposed to be showing the price for 1/35 by default. I'm not sure if this is just on my end or if I need to change the settings again. Thanks for the measurements. I'll get the model updated. I also have to take the Tricon doors and floor off sale because there are some areas that are unprintable. I'll fix them and get the model back up for sale as soon as I can. I've added them to my "Wish List" on Shapeways so I can purchase once all my hobby stuff arrives. Had to box everything to move half way cross country. 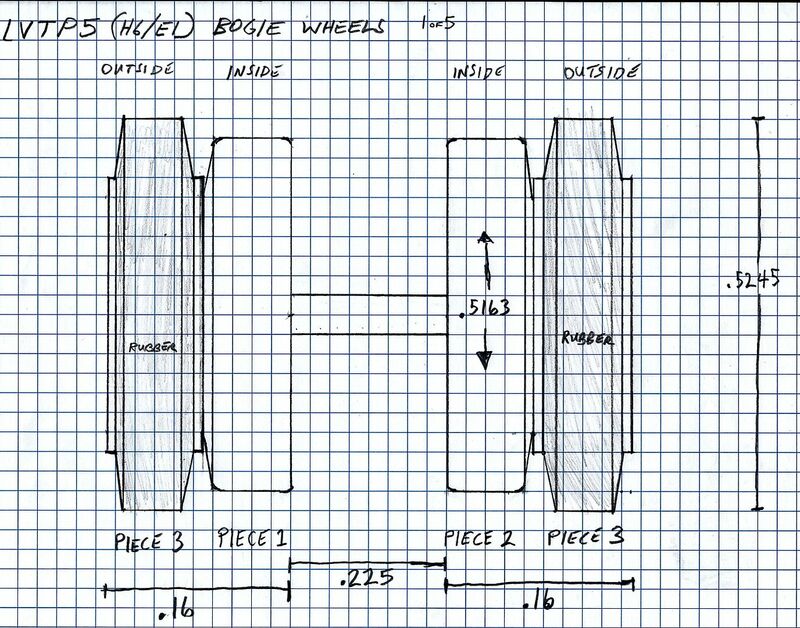 Will you be able to do the LVTP5 bogie wheels? I'll have to look back into it. Short answer is not right now because I'm getting to a busy part of the semester. I've been distracted by school, the Tricon, hard top and now this mess that Shapeways recently dropped on all of us. They're going to be raising prices soon and it's most likely that prices could increase drastically. Shapeways has screwed up on the designer side of things and made it more inconvenient for us to do what we do aside from actually listening to us less than ever before. Long story short, I'm going to be looking for another website like Shapeways to open a parallel store in that will hopefully be less expensive. I will not be closing the Shapeways store unless the situation there becomes untenable and it becomes unfeasible to use that platform. I've also started to seriously consider purchasing my own cheap(ish) resin 3D printer to print some of the more popular models. That's still just a plan in the works but if Shapeways gets significantly worse I probably will pull the trigger on that. After the M1101 hard top a canvas softtop? Unfortunately not. The canvas texture would be too complex and time-consuming for me to model for now. Possibly down the road but not at the moment. The new hard top model is uploaded. Unfortunately the price went up. I'm not sure how the new pricing model affected it but increasing the side wall thickness from .6 mm to 1mm and moving the back out by .2 mm increased the price from $45-48 to $52. Shapeways no longer makes their pricing model public so I have no way of knowing what I can do to effectively decrease the price. I hope this helps bruh. Now you can adjust the sizes if you need to! 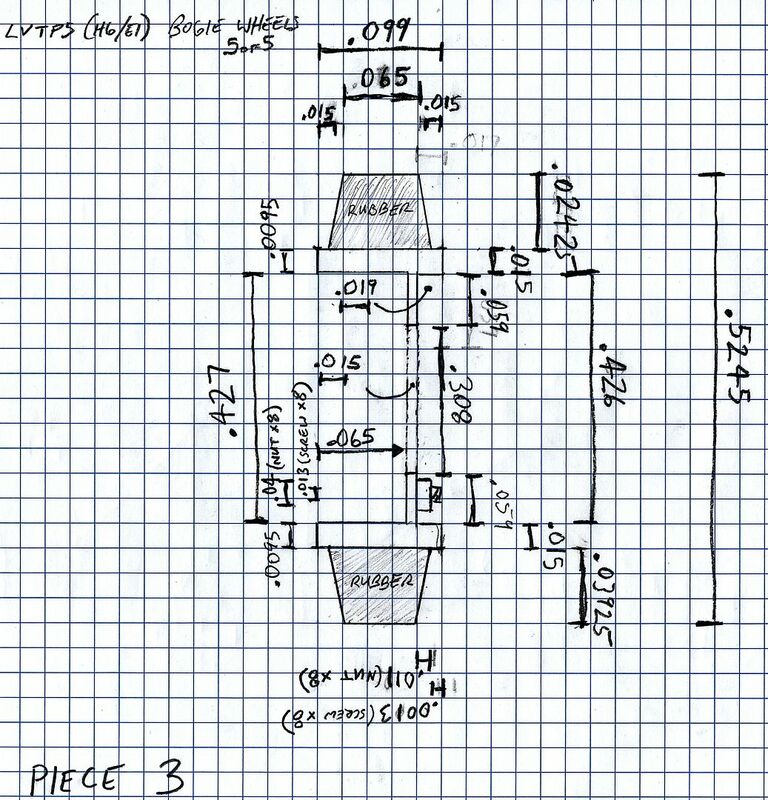 Michael, I have the kit and can measure it. I'll try to take some by the end of the st. I see Shapeways has A M1919 with M31 mount in1/24 scale for Italeri jeep. So I will put this out for thought. 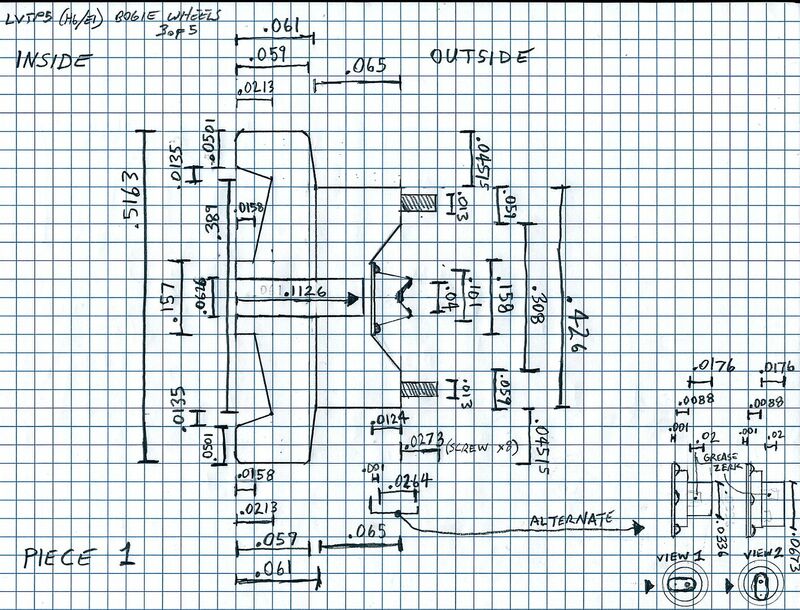 The rear panel for the jeep in 1/24 and 1/35 scale with the Willys script For Italeri 1/24 scale and Tamiya's 1/35 scale Jeeps. I can try. A nearby museum has a few Willys I can ask about measuring. My only concern is that I'd have to get the fit and placement of everything exact to match the kit instead of the actual vehicle. I found a website that offers photo etching services so I'll see if I actually can't go down that route. Create a mask for the script and then sell the PE set. If I can't do that I'll do the 3D printed piece. what about 1/24 or 1/25 scale Stryker wheels ? Which kind? If I remember correctly, there are a few different tread types. I've never done tires before but I think I can manage.